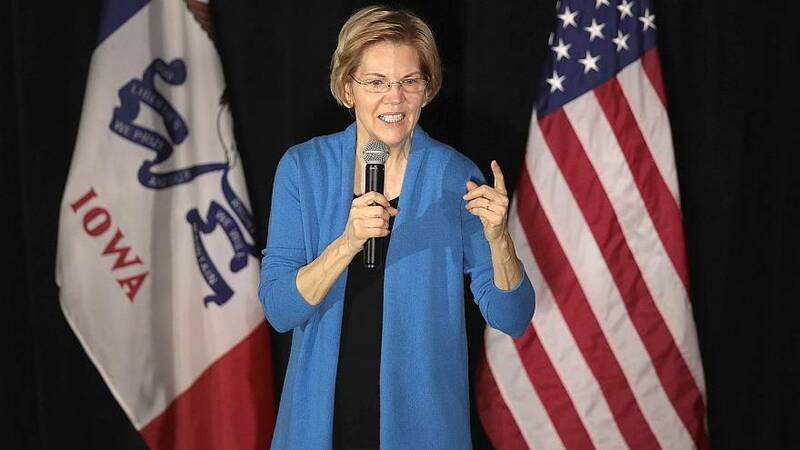 Sen. Elizabeth Warren, D-Mass., made a surprise appearance at a luncheon honoring Native American women leaders on Tuesday amid ongoing controversy over her past claims of Native heritage. The 2020 contendermade brief remarks at the National Indian Women Honor Luncheon in Washington, where she introduced and honored Cheryl Andrews-Maltais, the chairwoman of the Wampanoag Tribe of Massachusetts. Warren's campaign confirmed the appearance on Tuesday. It was first reported by HuffPost. The lunch occurred during a four-day policy summit of tribal leaders put on by the National Congress of American Indians, the event where Warren addressed questions about her ancestry in 2018, though it is not hosted by the NCAI, according to the agenda. Warren's appearance at the luncheon comes as she continues to encounter backlash to her claims of Native heritage and her decision to take a DNA test to prove them. She apologized to the Cherokee Nation for taking the DNA test, and publicly apologized again last week for any "harm caused" after The Washington Post found a form she filled out in 1986 to become a member of the Texas Bar Association in which, in her own handwriting, she listed her ethnicity as "American Indian." Warren has maintained she never benefited professionally from her ancestry claims, and an exhaustive investigation by The Boston Globe found no proof that she had received favorable treatment. At Tuesday's luncheon, Warren was introduced by freshman Rep. Deb Haaland, D-N.M., as "a dear friend," according to prepared remarks shared with NBC News by Warren's campaign. Haaland was one of the first two Native American women to ever be elected to Congress in November. "Indian Country needs strong allies like Elizabeth Warren who's unwavering commitment to Native communities and Native American women and children is needed in this political era," Haaland said, noting that she and Warren are working together to find funding for budget shortfalls in Native communities. Warren, according to her prepared remarks shared with NBC News, noted that she addressed the council last year "about the importance of lifting up and celebrating Native voices" and said that she was "grateful" for the opportunity to do that during Tuesday's luncheon. In recent weeks, as Democrats' 2020 campaigns have heated up, President Donald Trump has repeatedly mocked Warren as "Pocahontas," his nickname for the senator that Native leaders say is a racial slur. "See you on the TRAIL, Liz!" Trump tweeted recently, an apparent reference to the devastating and deadly relocation of Native Americans in the 19th century that left thousands dead.